A few years back, I took a trip to Huron Ohio with the Walleye Central group of guys for their annual get together/meeting/fun tournament all wrapped into one. 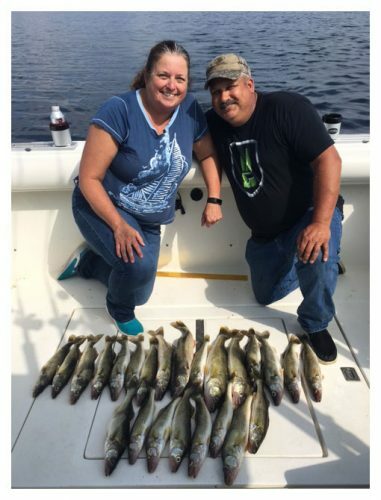 The whole thing was an enjoyable and quite the memorable experience, with the quality of fishing off the charts. This was (back then) thee place to be and go for late fall walleyes of the caliber, quantity and size one only dreams of. Not really much has changed in that regard for this area of Lake Erie. What has changed for me and a lot of others in my neck of the woods here on Saginaw Bay is our own untapped late fall walleye fishery. 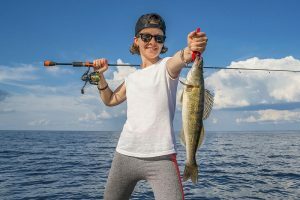 Funny part is, it has probably been here all along, just simply ignored for lack of interest or the many other things that make one winterize his fishing boat in September and gear up for the multitude of other sportsman’s opportunities in our state. 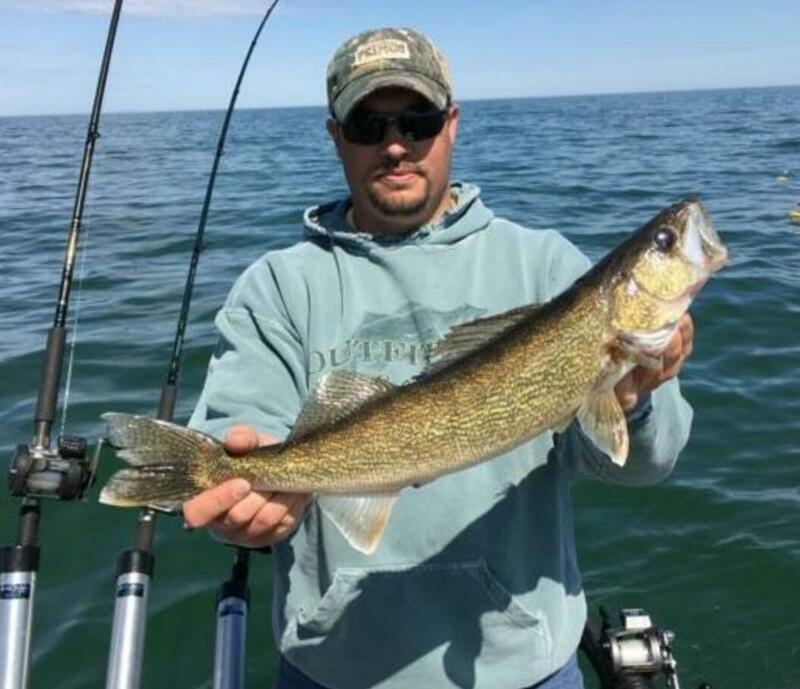 Just about every hunting season we have opens in the fall, and add to it the continual fall wind storms we usually get and setting out in the Bay trolling, falls quickly off the “things to look forward to” list. This year I vowed early to spend more time exploring and looking for more places (near my own house) both on the river and on the bay to catch more walleyes. So far this goal and my efforts put forth, has rewarded me quite well. The river fishing started off great in early October, using a technique I learned basically from the best walleye teacher you could ask for, Gray Parsons. Gary gave my little fishing board group a seminar lesson one night on Lead Core fishing the Saginaw River. Almost the next day I started out with one rod using the core for trolling the river and now have 4. 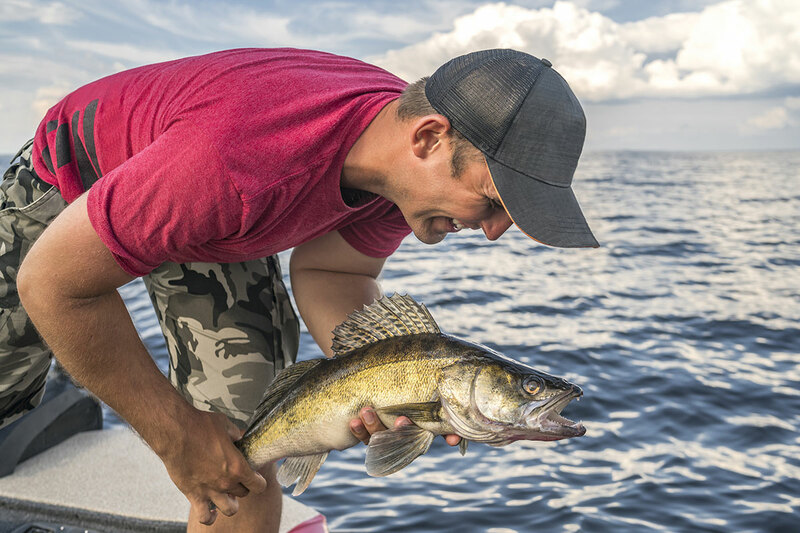 This (one rod) (hands on) trolling technique has quickly become the second best way I like to fish for walleyes now. Learning all of its little secrets has cost me a few #5 Shad Raps to the river bottom this past year, but has allowed me zero in on and make some real nice river fish strike that I believe would not have otherwise. Then I wanted to explore night fishing a little nearer and within the first few miles of the mouth of the Saginaw. This technique and opportunity I usually waited for into late November to early December, as the walleyes would migrate their way upstream into the city of Saginaw, where 3 of the major feeder rivers merge with the Saginaw. Knowing this year the walleyes were in the river in good numbers by early October, I started exploring places at night in and around that first few miles of river mouth and was again rewarded with some great fishing. And found out that both casting in specific areas as well as trolling near them both paid off. But the one thing I really wanted to explore was the fall trolling opportunities on the bay. And I must admit, Mother Nature has had as much to do about this as anything. This being because I (like others) have put my bigger boat away for the season. And the windows of safe fishing opportunities get reduced when a smaller boat is involved. But this exploratory venture also has paid some BIG dividends this fall and has got a lot of other people reading mine and others reports on my board pulling their winterized boats back out of storage. 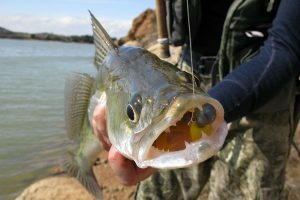 I’ve caught walleyes this fall in 9FOW all the way into 19FOW, using the same lures and techniques one would use fishing for the first (ice out) walleyes. And the fish we’re all catching now are some of the biggest most of us had seen all year. I surmise these are the ones that quickly migrate North out into the outer bay and well away from the most trolling traffic during the summer months. But are now back in close to both feed heavily on the fall shad migrations, and stage for the winter the spring spawn. 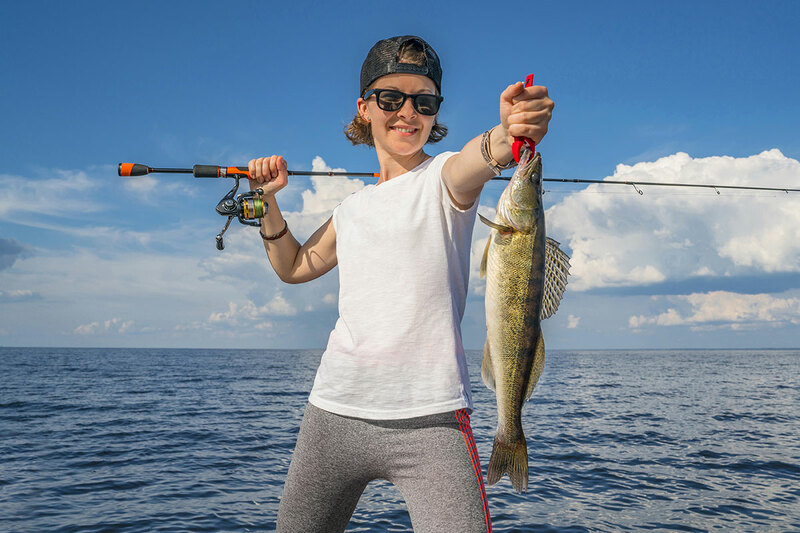 This fishery on Saginaw Bay IMV has become as exciting and as productive as the Lake Erie fall Huron fishery. And this may be the beginning of something big for our area as it was for Huron Ohio. That would be nice in this economy.